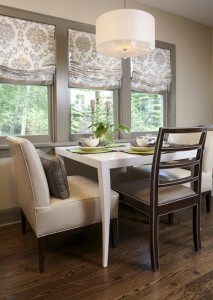 Have you ever considered installing Roman Shades in your home? Roman Shades are growing in popularity and for good reason: they are extremely versatile and can be installed many different ways. 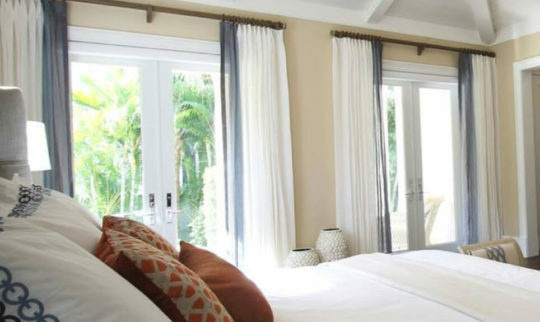 Roman Shades can be attached alone, with pole-mounted draperies or with top treatments such as upholstered cornices or tailored kick pleat valances. There are many choices to make when purchasing Roman Shades, including style, appropriate lining choice, operating system and the combination of fabrics & trims to compliment your room’s deco. 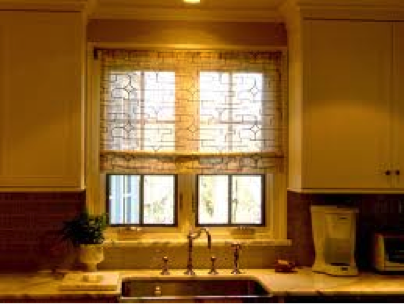 You will find that Roman Shades can be used in every single room of your home. People tend to like a burnout, sheer fabric in the kitchen so that the sunlight is diffused but you can still maintaining a view. Dining and living rooms require privacy, so we recommend lined and interlined silks for privacy. 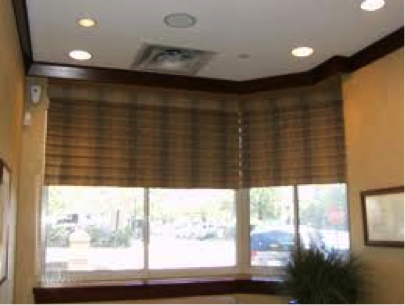 Bedrooms and media rooms can always benefit from Roman Shades with blackout lining for complete light blocking. 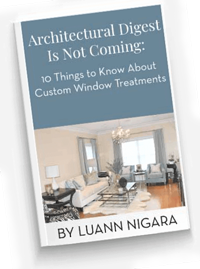 In addition to the various design styles, there are also options for how to operate your Roman Shades. There’s standard cord lock operation for smaller Roman Shades that are not opened and closed often. There is also continuous clutch control operation for larger, heavier shades and cordless lift control for places where cords might be unsightly such as a bedroom. Somfy technology is a battery remote control operation that works on large, heavy shades. People who wish for motorized operation of their shades prefer Somfy technology. 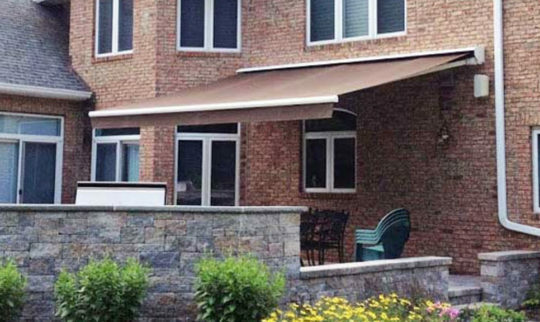 This technology allows for automation of your home curtains, shades and awnings. Learn more about the different styles of roman shades by browsing through our window treatments section. 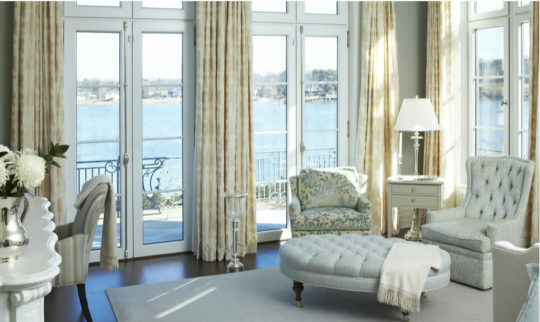 Working with a professional window treatment designer will help you decide from the myriad of styles which option is best for you and your home. Contact us online or call us at (800) 505-5860 to find out how we can help you with all your window decor needs.